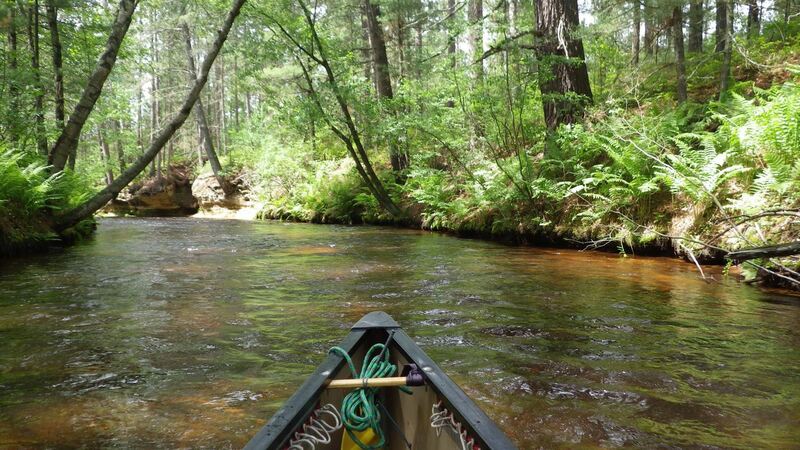 Details: Day One will be a day trip on the East Branch of the Black River starting at Pray, WI. Paddling down to East Fork Campground Landing (12 miles). The East Fork alternates between flat pools and small class one drops. There is one class two rapid. Difficulty depends on water level. Good boat handling skills a must. Day Two we will paddle the Robinson Creek (6 miles). The steep access is worth the climb down into the conifer and fern forest. The average gradient is about 10 fpm. Below is the beautiful Robinson Creek. Two completely different trips, in one beautiful place. Group size will be limited so sign up today! Camping at Castle Mound State Forest on Friday & Saturday nights. There are also several hotels in Black River Falls if you don't want to camp.